With Readly you can read History of War Book of Combat Machines and thousands of other magazines on your tablet and smartphone. Get access to all with just one subscription. New releases and back issues – all included. 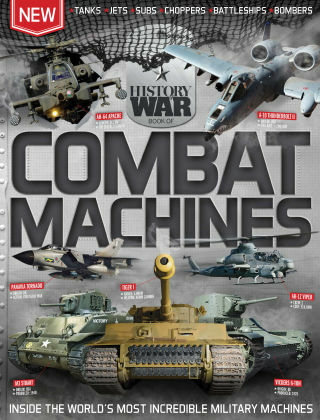 In the History of War Book of Combat Machines we chart the history and development of dozens of legendary military vehicles, from the fearsome German Tiger tanks of the Second World War, to the rise of the nuclear-powered submarine, to the hi-tech fighter jets that now rule the skies, to the military tech of the future. We'll show all the facts and figures you need to become a combat machine expert, as well as breaking down each vehicle to give you an inside look at the technology that makes these tanks, choppers and battleships tick.